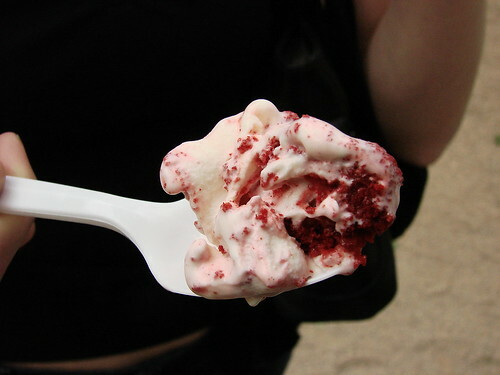 May marks my Red Velvet Custardversary, it was this time two years ago that I discovered the wonder of Shake Shack's Red Velvet Custard. 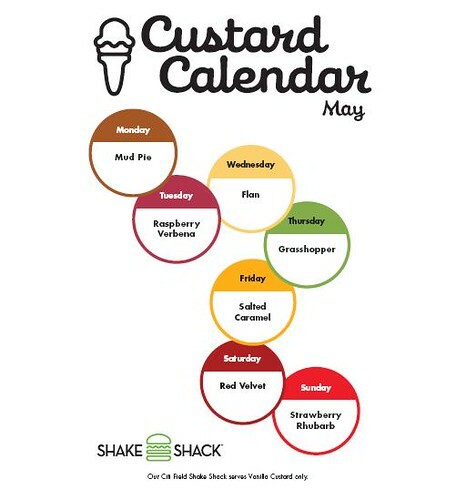 They had it for Saturdays last May and this year the tradition holds and it's back in the Saturday custard rotation. Any must tries on this month's calendar for you? Gosh I wish I could have celebrated Cinco de Mayo, they don't have it here. here we celebrate freedom on that day with festivals, live music and beer. also nice! it's the day we where officialy saved from the germans 2th world war. Strawberries, Ramps, and Rhubarb All in Season! What's a Horse Race without Boozy Pie? Make Mom Happy, Buy Her Some Blondies!